2019-02-28 | Duran Duran and Co.
Duran Duran, ‘As The Lights Go Down’, is available from 13 April 2019 (Record Store Day) in records stores across the country. 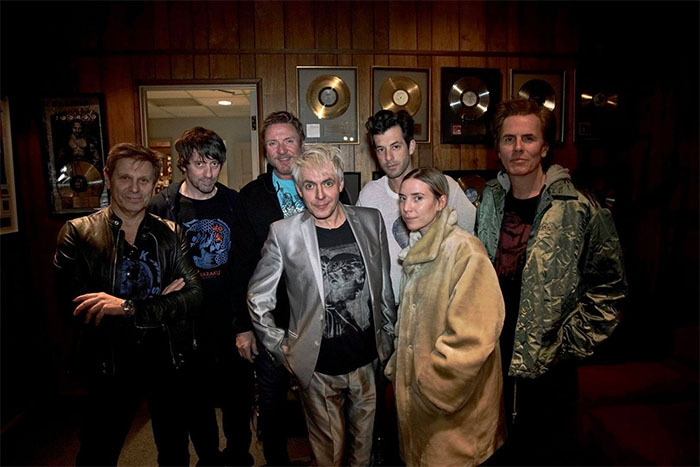 Twice on Tuesday at the new Fillmore at Harrah’s New Orleans, Duran Duran vocalist Simon LeBon remarked on how the show seemed to be flying by. “This is going quickly,” he said near the end of the regular set. “Somebody slow it down.” Minutes later, at the encore’s outset, he repeated, “It’s going really quickly, isn’t it? We’ll try stretching it out.” Here’s a suggestion: Play more songs. During 80 minutes onstage for the first of Duran Duran’s two nights at the Fillmore, LeBon and company showcased a scant 15 songs. The glaring omissions included “Save A Prayer,” “The Reflex,” “New Moon On Monday,” “Is There Something I Should Know,” “Planet Earth” and “Union of the Snake.” If their maximum was 15 songs, they might have substituted any of those six classics for one of the lesser numbers they did play – say, “Pressure Off,” “Tempted” or “Friends of Mine” – and few fans would have complained... full article on theadvocate.com. Simon Le Bon, 60, sports nothing but a TINY pair of swimming trunks as he emerges from the sea during solo beach day in the Cayman Islands. Happy birthday for Andy Taylor (58) from all wild boys and girls on film from the Czech republic! Happy New Year with much Duran Duran's music for all wild boys and girls on film!